Many organisations rely on a wide range of tools to make digital product design content. Yet, as it is increasingly necessary for many people to be able to access and analyse the data, so it is essential to have access to intuitive, powerful visualisation tools to make this possible. Creo View MCAD allows you to easily visualise products as part of your 3D product design, while also accessing essential engineering data. 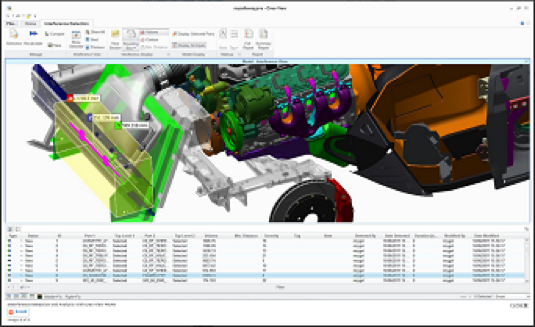 Creo View MCAD can be used with data from all major MCAD tools. Additionally, it can be used with design drawings, documentations and imagery from multiple sources. Plus, there is no need to have access to the native authoring application. It is now possible for everyone in an organisation to contribute to the design process, be this in real-time or through using mark-ups. Also, as Creo View ECAD and Creo View MCAD both leverage the same structure, users are able to execute functions across both, for example cross app probes of ECAD/MCAD abstraction.